Our Donkey Art was introduced in 2016 with Tariq, the rug merchant. 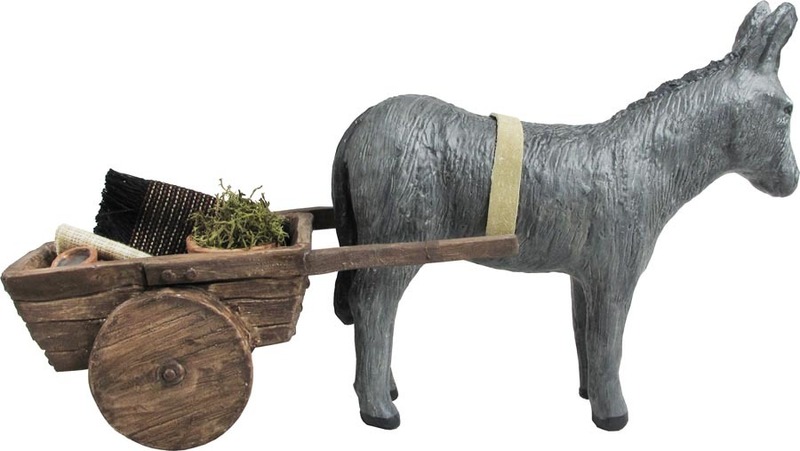 The cart can be with the standing donkey or as a stand alone. 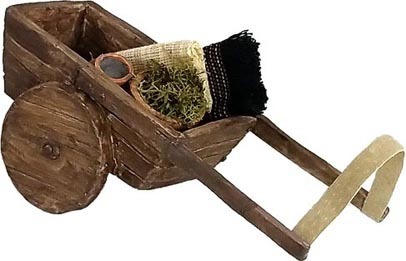 In the cart is an amphora, folded rugs and a bucket of grass.